There will be a viewing, Wednesday, November 28th, from 5-7PM, at Crippin Funeral Home, 802 E. Main, Montrose, CO. Services will be Thursday, November 29th, at 1:30 at the Norwood High School gymnasium, 1225 Summit St., Norwood, CO. Burial will follow at the Nucla Cemetery. A dinner will follow at the Nucla Community Center (formerly the Moose Lodge) in Nucla. In lieu of flowers, Memorial Contributions may be made to the Skylar Kelly Memorial Scholarship Fund at any Alpine Bank. An Angel went to Heaven this past Thanksgiving Day. 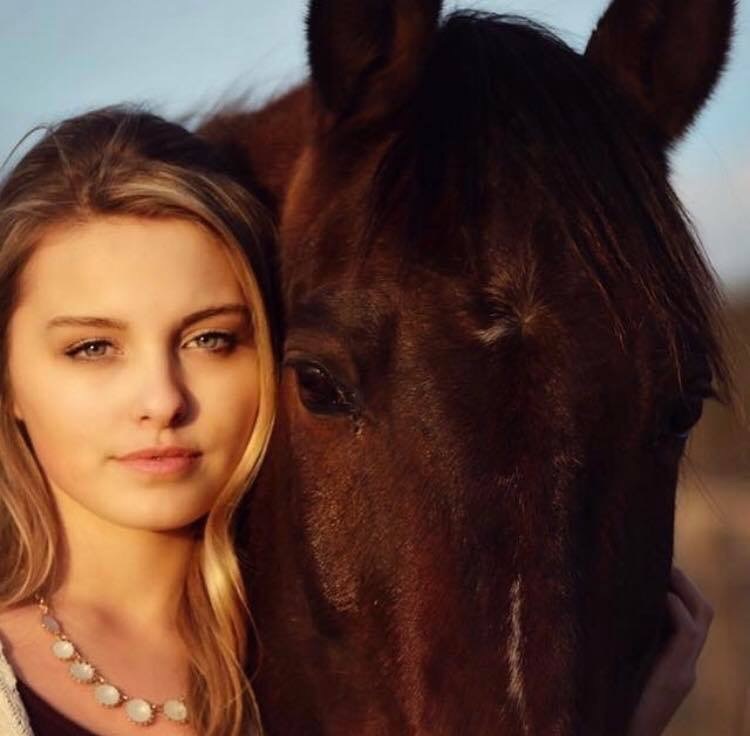 Skyler Ann Kelly died from injuries sustained in a truck and trailer accident. 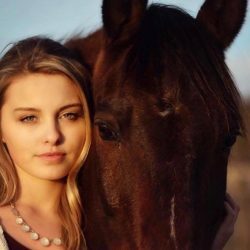 Skyler was born in Grand Junction, CO on June 10, 1999 to Tommy Charles Kelly and Chasity Marie Jensen. Skyler attended pre-school and elementary school in Montrose, CO, while living with her Aunt and Uncle, April and Carl Kelly. She moved to Grand Junction to spend time with her dad and attended middle school there. She decided that her beloved Papa David needed her, so she moved to the family ranch in Nucla, CO. In 2015 she went to Spain as an exchange student. In 2017 she graduated from Norwood High School with top honors and a full scholarship to CU Denver, where she was in her sophomore year. Skyler touched so many lives because she was always helping people. She excelled in her studies, but was also a very accomplished horsewoman and artist. She was everyone’s favorite babysitter and critter sitter! Skyler loved hunting, fishing, and pretty much everything outdoors, especially camping with her boyfriend Connor. She loved her cousin Brenden like a brother, and they had so much fun snowboarding and just hanging out together. Skyler was preceded in death by her beautiful mother, Chasity, Great Aunt Patricia Stokes-Stewart, Great Grandma Grace Sessions, and most recently, her “adopted” Grandpa and fishing buddy, Randy Trounce. Surviving and loving family members include her Papa David Kelly of Nucla; Grandmother Shelley Kelly, Uncle and Aunt Carl and April Kelly and family, Grandparents Angie and Laverle Wilson, Uncle Adam (Carrie) Wilson, all of Montrose. Her father Tommy Kelly, Great Aunt and Uncle Nancy and Jim Baker all of Grand Junction. Uncle Brian (Michelle) Wilson of Denver. Aunt Amy (Mike) Minard of St. Paul, MN. Great Uncle and Aunt Benton and Beverly Kelly of Lewisville,TX. Sisters Patience and Celine Rhoades of Silverton, CO; and sister Dally Kelly (Tiffany Eyl) of Pocatello, ID. Cousin Roy and Janeice Pfander and family of Greenriver, UT. 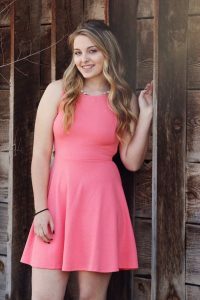 She is also survived by her loving boyfriend, Connor Canty of Aurora, CO. Other loving family members on her mother’s side include her Aunts Misty Gordon and Stormy Locke; Grandmother Debra Jensen; Grandfather Chris Maestas; Step Grandfather Steve Gutheil; Uncles Michael Maestas, Nathan Maestas, Jacob Maestas, Gary Patton, and Chris Jensen, all of Grand Junction, CO. There will be a viewing, Wednesday, November 28th, from 5-7PM, at Crippin Funeral Home, 802 E. Main, Montrose, CO. Services will be Thursday, November 29th, at 1:30 at the Norwood High School gymnasium, 1225 Summit St., Norwood, CO. Burial will follow at the Nucla Cemetery. A dinner will follow at the Nucla Community Center (formerly the Moose Lodge) in Nucla. In lieu of flowers, Memorial Contributions may be made to the Skylar Kelly Memorial Scholarship Fund at any Alpine Bank. Arrangements are being handled by Crippin Funeral Home of Montrose, CO.